"Fear of my greatness terrified Hezekiah. He sent to me tribute: 30 talents of gold, 800 talents of silver, precious stones, ivory, and all sorts of gifts, including women from his palace." The Taylor Prism gives an account of Sennacherib's invasion of Israel and mentions Hezekiah. "And in the fourteenth year of King Hezekiah, Sennacherib king of Assyria came up against all the fortified cities of Judah and took them. Then Hezekiah king of Judah sent to the king of Assyria at Lachish, saying, "I have done wrong; turn away from me; whatever you impose on me I will pay." And the king of Assyria assessed Hezekiah king of Judah three hundred talents of silver and thirty talents of gold. So Hezekiah gave him all the silver that was found in the house of the LORD and in the treasuries of the king's house." 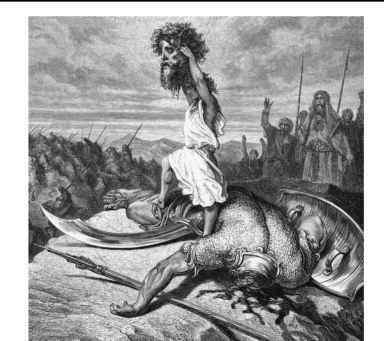 "As for the king of Judah, Hezekiah, who had not submitted to my authority, I besieged and captured forty-six of his fortified cities, along with many smaller towns, taken in battle with my battering rams . . . I took as plunder 200,150 people, both small and great, male and female, along with a great number of animals including horses, mules, donkeys, camels, oxen, and sheep. As for Hezekiah, I shut him up like a caged bird in his royal city of Jerusalem. I then constructed a series of fortresses around him, and I did not allow anyone to come out of the city gates. His towns which I captured I gave to the kings of Ashod, Ekron, and Gaza." Amazingly in this account, Sennacherib admits he never captured Hezekiah or the city of Jerusalem. Even though he sent a large army against it. Why is it that the king of Assyria and his mighty army couldn't capture Jerusalem as he did with all the other cities of Israel? "And Hezekiah received the letter from the hand of the messengers, and read it; and Hezekiah went up to the house of the LORD, and spread it before the LORD. Then Hezekiah prayed before the LORD, and said: "O LORD God of Israel, the One who dwells between the cherubim, You are God, You alone, of all the kingdoms of the earth. You have made heaven and earth. "Incline Your ear, O LORD, and hear; open Your eyes, O LORD, and see; and hear the words of Sennacherib which he has sent to reproach the living God. "Truly, LORD, the kings of Assyria have laid waste the nations and their lands, "and have cast their gods into the fire; for they were not gods, but the work of men's hands; wood and stone. Therefore they destroyed them. "Now therefore, O LORD our God, I pray, save us from his hand, that all the kingdoms of the earth may know that You are the LORD God, You alone." Then Isaiah the son of Amoz sent to Hezekiah, saying, "Thus says the LORD God of Israel: 'Because you have prayed to Me against Sennacherib king of Assyria, I have heard.' "This is the word which the LORD has spoken concerning him: . . ."Whom have you reproached and blasphemed? Against whom have you raised your voice, And lifted up your eyes on high? Against the Holy One of Israel. By your messengers you have reproached the Lord, . . .
Because your rage against Me and your tumult Have come up to My ears, Therefore I will put My hook in your nose And My bridle in your lips, And I will turn you back By the way which you came . . .
"And it came to pass on a certain night that the angel of the LORD went out, and killed in the camp of the Assyrians one hundred and eighty-five thousand; and when people arose early in the morning, there were the corpses; all dead. "So Sennacherib king of Assyria departed and went away, returned home, and remained at Nineveh. Now it came to pass, as he was worshiping in the temple of Nisroch his god, that his sons Adrammelech and Sharezer struck him down with the sword; and they escaped into the land of Ararat. Then Esarhaddon his son reigned in his place." "On the 20th day of Tebet, his sons revolted against him and they killed their father, Sennacherib. On the 18th day of Sivan, Esarhaddon, his son, -became king." How do you like that for Bible confirmation! Hezekiah trusted in the Lord and the Lord answered his prayers in a time of great trouble. This is one of the great lessons the Lord has given us through recorded history to show us that we need not fear anything if we put our trust in him and him alone. God protected Hezekiah and brought swift judgement on Sennacherib and his nation for trying to attack his Holy city, Jerusalem. "Behold an army of field mice plagued their enemy by night . . . chewed through their arrows and their bows, and the hand grips on their shields, so that on the next morning they fled without their weapons and a great number of them perished in battle. This Egyptian king still stands in Hephaestus's sanctuary holding a mouse in his hand, and bearing the inscription, "Look to me and live in safety"
Of course, the king of Egypt didn't have any control over this victory. It was by the hand of Almighty God, the King of the Universe that sent Sennacherib and his army back to Nineveh. "Because your rage against Me and your tumult Have come up to My ears, Therefore I will put My hook in your nose And My bridle in your lips, And I will turn you back By the way which you came."